HOW MANY DID WE SERVE? 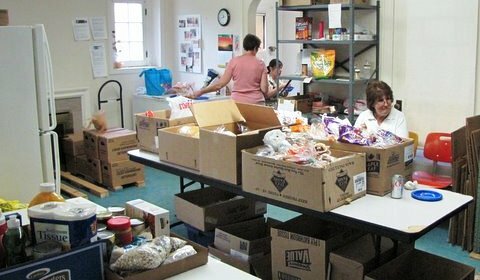 For the tenth year in a row (since 2005) the SEM Food Pantry served more than 10,000 needy people, all of whom were at or below the Federal poverty level. We served 13,915 hungry people in 2014. FOOD WAS THE MAIN REASON: We are an emergency food pantry. Ninety-four cents of every dollar spent went for food purchases. When funds were available we also helped a limited number of clients with prescriptions and transportation. WHERE DOES ALL THE FOOD COME FROM? 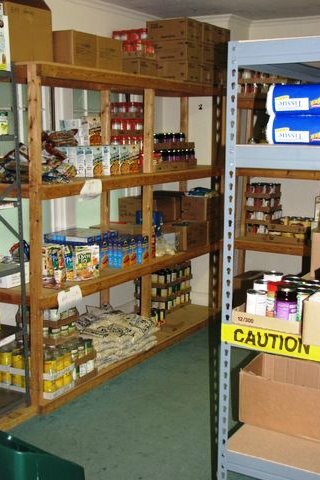 Much food is purchased through our partner, the FREESTORE/FOODBANK. Some is surplus from USDA and Ohio. 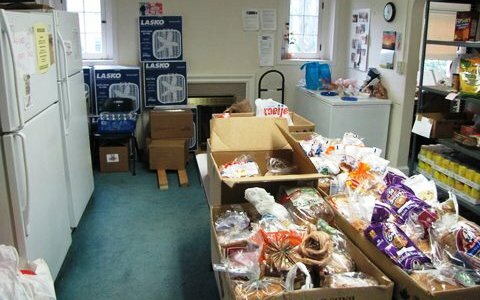 SEM churches provide tons of food through their food drives. We receive free foodstuffs from Aldi, Kroger, Remke, Servatiis, and Starbucks. WHERE DOES THE MONEY COME FROM? In 2014 we received $82,010 in contributions. 15 SEM churches provided $59,662 (73%). The remainder came from 9 businesses and service organizations and 84 individuals. You know who you are. We couldn’t do it without you. THANK YOU so much for your support. WE ASK FOR YOUR FINANCIAL SUPPORT IN 2015! While we hope 2015 brings a better economy and fewer hungry clients, we are gearing up for another busy year. We hope you will help us meet the challenge and give your support to the SEM Food Pantry. Please send your contributions to the SEM FOOD PANTRY, 6474 BEECHMONT AVE., CINCINNATI, OH 45230. We are a 501(c)(3) organization; contributions are Federal and State tax deductible.